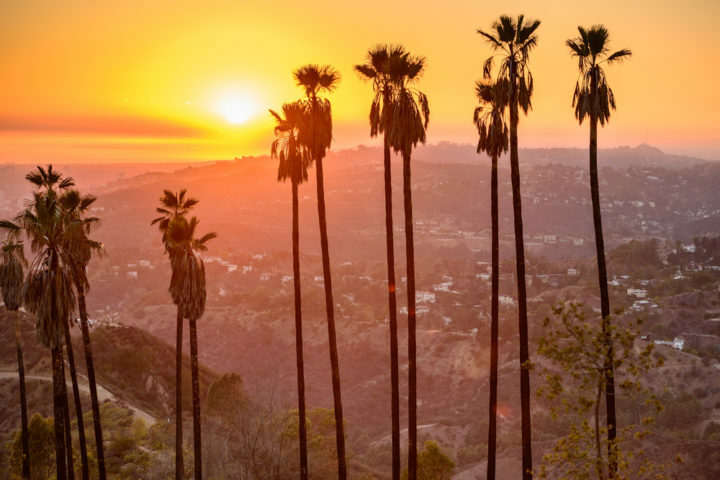 LA is consider as a secret city, here are best visit places for you. 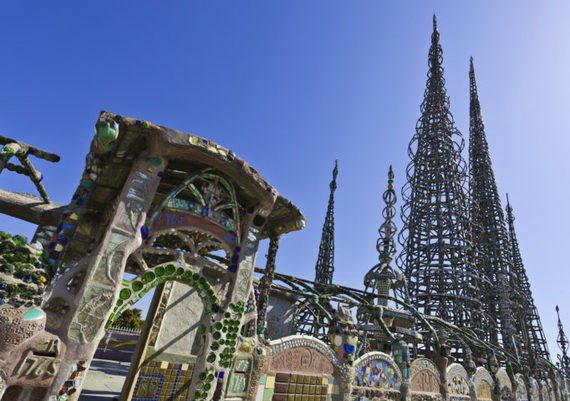 In an area rarely visited by tourists, the Watts Towers encompass a series of steel-and-mosaic art installations constructed by Italian-American artist Simon Rodia. The space, which has since expanded to include the Watts Towers Art Center, features a series of mosaic detailing, street art-style murals, and sculptures in addition to the tall steel structures. 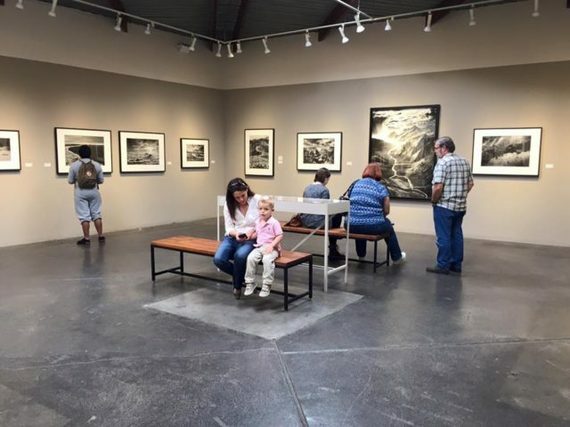 Guests can join a public tour of the area and explore the exhibitions on display at the art center. 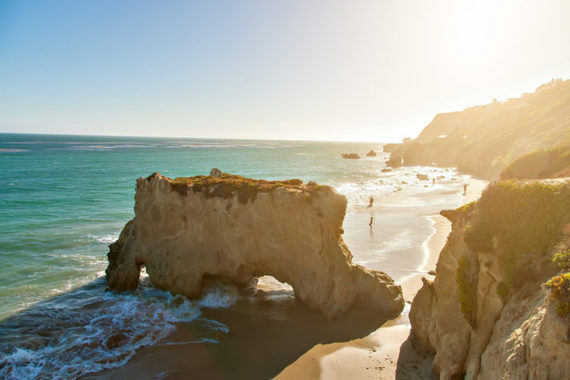 Located in Malibu County, about a 45-minute drive from LA’s west side, El Matador State Beach’s stunning rock formations and sprawling vistas make it worth the adventure. El Matador State Beach is accessible via a trail down the cliff from the parking area, and is well suited for families, couples and anyone who can appreciate a gorgeous stretch of sand and ocean. 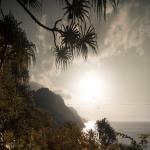 The beach is also home to a series of sea caves — and some of the best sunsets on the west coast. 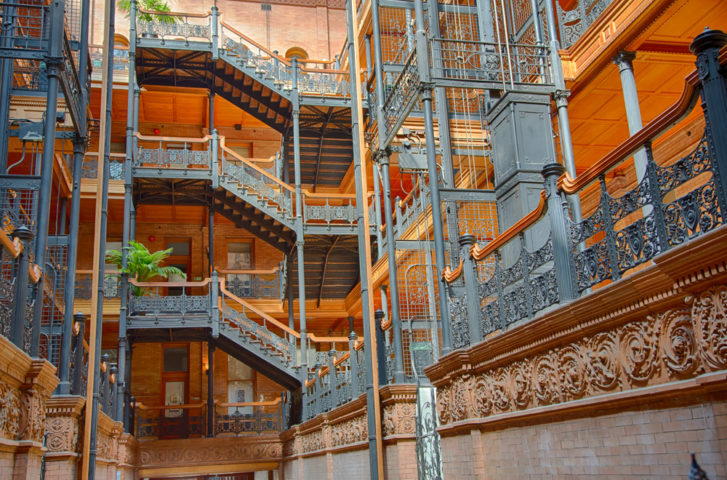 One of LA’s architectural highlights, you might recognize the Bradbury Building from “Blade Runner,” “500 Days of Summer,” and music videos from Janet Jackson; Genesis; and Earth, Wind and Fire. It’s easy to see why pop culture has developed a love affair with this landmark — after all, its many stairways, open cage elevators and intricate ironwork is enough to leave you jaw-dropped. The building first opened in 1893, after being commissioned by millionaire Lewis Bradbury, and has since maintained its spot as one of Downtown LA’s crown jewels. 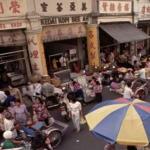 Be sure to have your camera ready — this spot is ripe with Instagram potential. One of the most spectacular hidden gems in LA, this Pacific Palisades retreat is a true oasis. 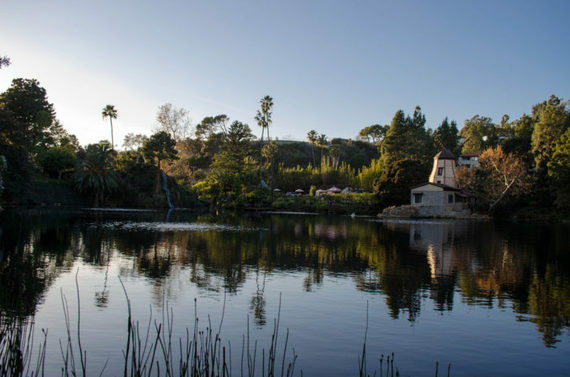 The lake, as well as the surrounding gardens and temple, are part of the Self-Realization Fellowship, a spiritual organization that welcomes devotees of all religions and beliefs. The serene grounds include the Mahatma Gandhi World Peace Memorial, where a portion of Gandhi’s ashes are kept; a houseboat; and grassy areas for practicing yoga, reading, or relaxing under the sun. 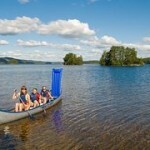 Little ones will love the lake’s wildlife, which includes ducks and frogs, while adults will love the price tag: free. For those looking to learn more about the Self-Realization Fellowship, visitors are welcome to attend a service, study group, prayer circle, or group meditation at the stunning temple. 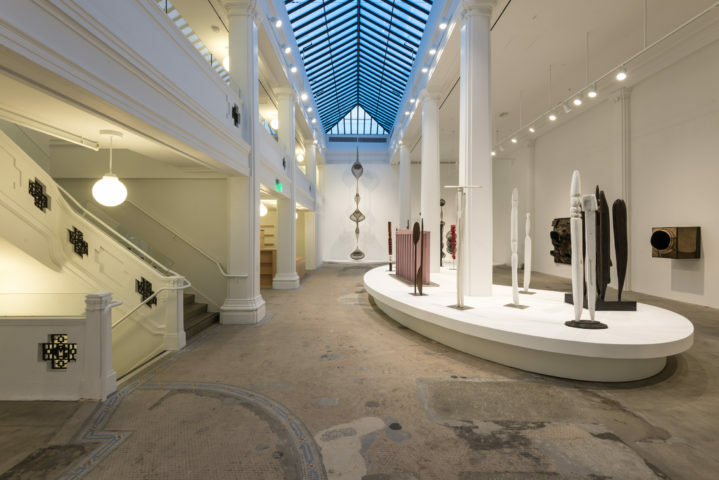 While The Broad, the Los Angeles County Museum of Art and the Getty Center have helped define the city as an emerging art hub, these large institutions are far from the only places to get cultured here. Opened this year in the downtown Arts District, Hauser Wirth & Schimmel represents the first West Coast endeavor from the international Hauser & Wirth gallery. The sprawling space is a work of art in and of itself, and includes multiple gallery spaces, a large center courtyard, and an ARTBOOK store. The space is also set to open their restaurant, Manuela, this summer. Best of all, admission to this gallery is completely free, and conveniently located near other cultural hubs in the Arts District area. With a name sadly indicative of the rarity that is a thriving bookstore in 2016, The Last Bookstore is California’s largest used and new book and record store. The space is more than a store: it’s a watering hole for LA’s most creative minds. The unique architecture adds to the feeling that you’re in Alice in Wonderland’s personal library, while the sheer volume of books and records requires hours set aside to peruse. 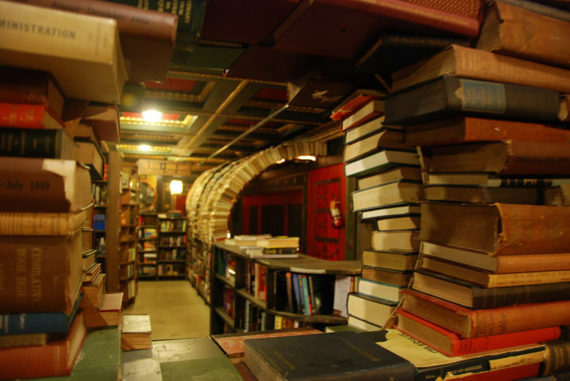 If you have books, DVDs or CDs that you’d like to share, The Last Bookstore also offers a service for selling, trading and donating your items — giving you even more money to spend at the shop. Tucked inside the expansive Griffith Park property, the Old LA Zoo is essentially exactly what it sounds like: a series of ruins remaining from the former Los Angeles Zoo. The abandoned space is simultaneously eerie and intriguing, and offers a glimpse into the days of LA past with its empty cages and enclosures. 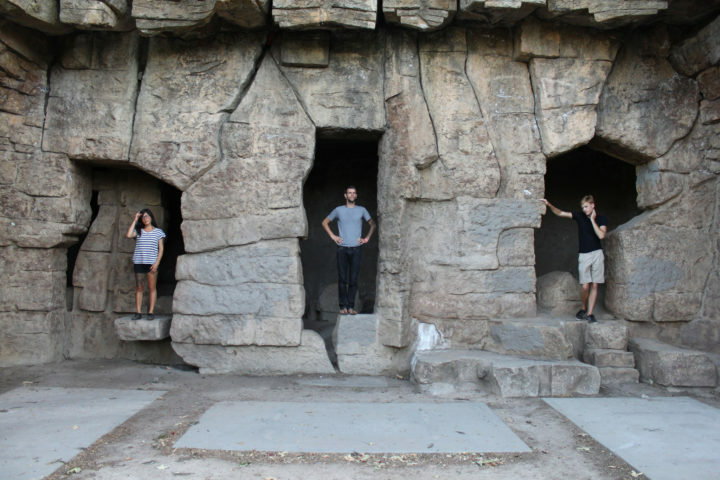 Today, the ruins offer unique picnic sites and hiking trails — so grab your hiking shoes and lunch, and head out for a day in the coolest part of Griffith Park. Although cemeteries aren’t usually tourist destinations (understandably), the Hollywood Forever Cemetery is an anomaly. Many of the entertainment industry’s most crucial players are buried there, including Mickey Rooney, Rudolph Valentino, Douglas Fairbanks and many, many more. 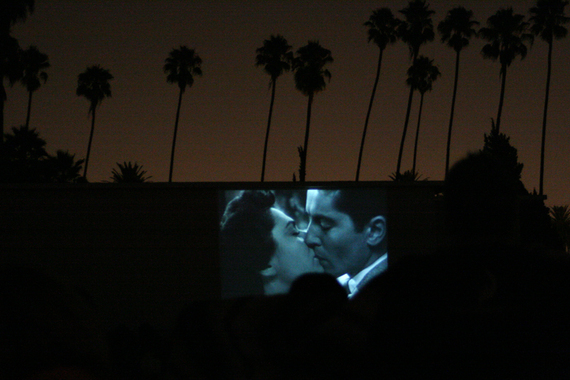 While the cemetery is worth a visit any time of the year, it’s particularly popular during summer, when it’s home to the Cinespia outdoor movie series. Screenings are held on the Douglas Fairbanks Lawn, and this summer’s lineup is stacked with classics such as “Grease,” “The Sandlot,” and “Goodfellas.” Additionally, screenings are often supplemented by live music, fireworks, and appearances by filmmakers. A short drive down the Pacific Coast Highway, the LA section of California’s legendary Highway 1, you’ll find the Rosenthal Wine Bar & Patio. The tasting room of the Rosenthal Estate, this outdoor space comes alive on warm summer days to offer wine pours with a side of live music and lawn games. Tastings are offered by the glass, bottle or flight, and patio seating is first come, first served for parties of less than 10. 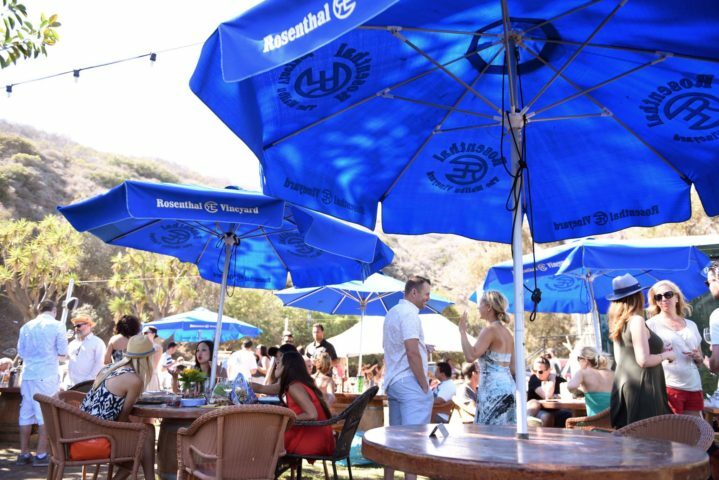 Rosenthal also offer cheese and crackers for purchase, and draws a series of food trucks on weekends — though guests are free to bring in outside food. Best of all, the tasting room is directly across the street from the beach — offering a series of ocean views and a true California experience. The arts hub of LA’s west side, Bergamot Station is a gallery complex just off the new metro line. 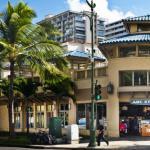 The space is home to a series of galleries ranging in medium and artistic style, as well as an floral and gift shop and cafe. Visitors are welcome to explore the gallery complex on their own, or attend one of the many cultural events held at the complex. These events include opening receptions, special exhibits, portfolio reviews, artist talks and more. Ready to explore LA? 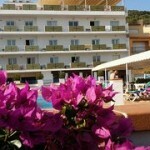 With our new hotel search, featuring more than 3,000 carefully selected hotels, find and book deals when you need them. Travelzoo has 250 deal experts from around the world who rigorously research, evaluate and test thousands of deals to find those with true value. Nile Cappello is a freelance writer based in Los Angeles.